Username is the short name being displayed on a device’s LCD after the device verified an employee successfully and the username will not appear on any slave readers that do not have any LCD. However, do not take the Username matter lightly when you are using Ingressus controller. DO NOT apply any special characters or symbol to this Username column. Any characters or symbols will cause Ingress software fail to upload employee credentials to Ingressus. Hence, stick to alphanumeric only when it comes to Username. 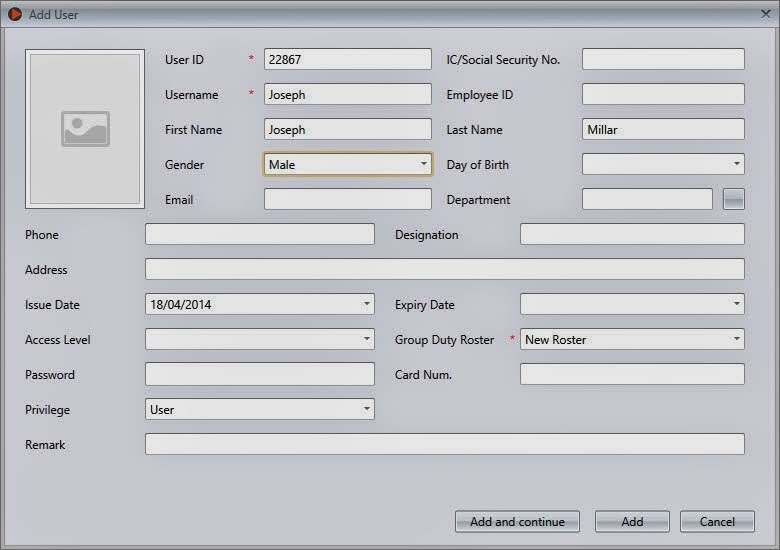 How can i input a SPACE CHARACTER in username field from the biometric device? Hi Anonymous, some of our device can support space character, while most do not. Kindly inform us on which model that you are using so that we can advise you accordingly. For Q2i/TA200 Plus, you can put a space by changing the keyboard into Symbols by pressing * button twice, then press the right arrow button 4 times. You will find the space character assigned to #1 key. My model is AC100C, I need to know if this model supports space character. Thanks in advance. Please check the AC100C Device Info details, using Device Info tool. We will make a internal testing, then will let you know the testing result through email.